Well, both releases use a photo of the Roxy marquee. There seems to be something missing from this set. The “Don’t You Ever Wash That Thing?” version on the original release, “Roxy And Elsewhere” had a Bruce Fowler trombone solo, a Ralph and Chester drum off, a FZ solo, and a closing riff with a kazoo that aren’t on any of the CDs. Does disc two track six qualify PJB'? 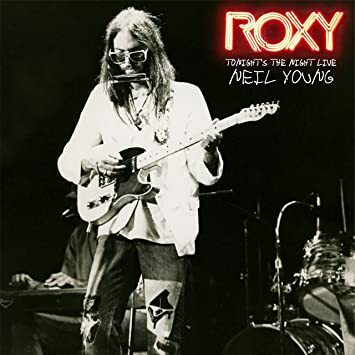 Note that the Roxy and Elsewhere version of "Don't You Ever..." is edited together from two different performances. The first five minutes is from 12/10 (disc 5 on TRP), then the rest is from 12/9 (disc 2 on TRP) but with a bunch of edits. Also remember that on The Roxy Performances you're hearing it without overdubs. 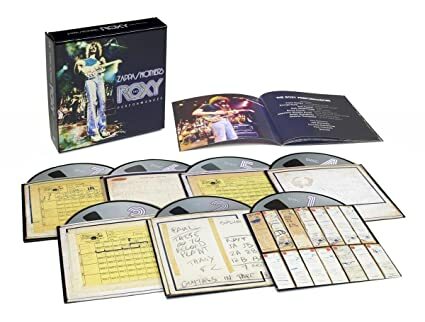 I know a lot of the performances on Roxy And Elswhere are edit combinations, but it still seems strange that a whole end section is not in the box set. I stand corrected. My aural memories are diminishing. I found every part from the original album release, except for that damn Bruce Fowler solo! Scratch that. My assistant just placed it on my desk. What a bweut! The album...my assistant is very nice though. Sounds like that could be the reason. FZ was a perfectionist. Finally got around to getting this! The sound on this set is amazing! I try to wipe out the rest of the music in my ears, and just listen to the stereo drum marvel that was Ralph and Chester, playing like one drummer with four hands and four feet! Yep! The drumming on this is fantastic, plus Ruth on percussion and duck call. I'm lovin' disk 6 and 7. Been on the road allot these days so been through Roxy twice. Great set. AMAZING sound! Bravo. Is that an FZ coffee stain on disc 4?